This is an expansion of my top 5 reasons that I shared on YES FM. They got a pretty good response so I thought I would share the whole list. He got the coolest Babylonian name…who wouldn’t want to be called Belteshazzar. He is the only Politician/Civil Servant that I know of who was quoted by Jesus. The next aspect of the Hupomone man that we see in Daniel’s story is prayer. I really believe that Daniel and Paul are just chillin’ together up in heaven. Their lives mirror so many of the same qualities. Prayer is just one more of those qualities that we see emphasized both in the epistles of Paul and the book of Daniel. Prayer was important to Daniel. In fact it was so important that 1. The value that he placed on it was clearly visible to all, even his enemies. 2. When his enemies laid a trap by effectively outlawing prayer Daniel risked everything to continue this vital communication with God. Daniel had learned through his life that connecting with God on a regular basis was key to his relationship with him. Daniel was probably in his mid-sixties by this time. I can only imagine that he had learned the importance of prayer through his many years of experience. Perhaps there had been times when the duties of his high administrative/political office had impacted his prayer life and he had felt the Spiritual staleness that comes when we let circumstances push God to the edges of our lives. He knew that no matter what, he had to spend his time with God each day, every day regardless of the consequences. 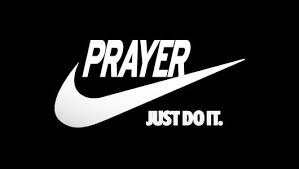 Daniel not only valued prayer as an daily part of his life but also as a path to resolution for the concerns/problems that arise. He also valued the power of corporate prayer. He called on his godly companions to stand with him before the throne of God. Prayer is not a requirement or a chore that must be accomplished daily to keep us in God’s good graces. Paul certainly did not see it that way and I don’t believe that Daniel did either. Prayer is a great privilege. Prayer for the Hupomone man or woman (who is in it with God for The Long Haul) is a way of life.